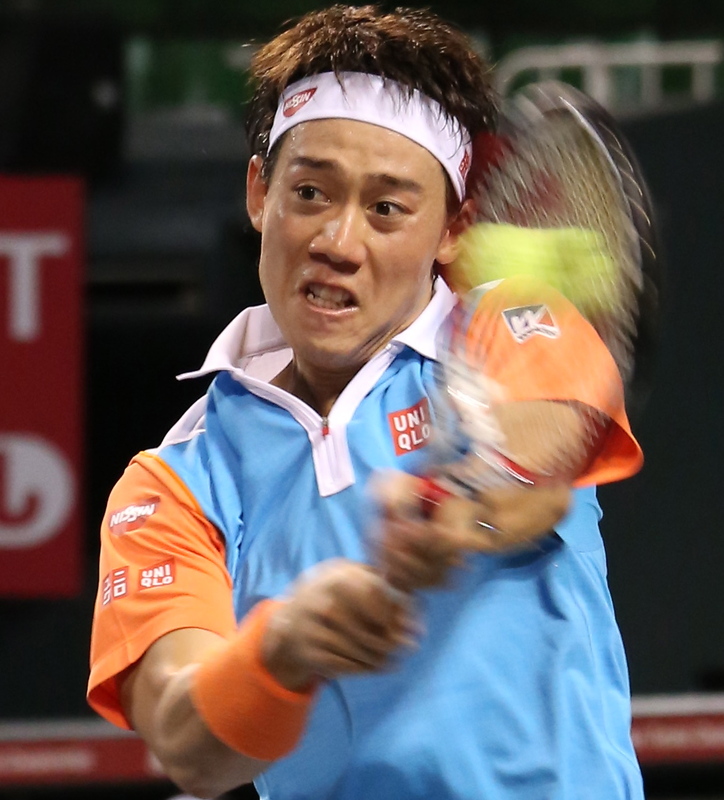 In the decisive fourth set of the Wimbledon round of 16, Kei NIshikori got all returns back. He pinned Milos Raonic into the corner. 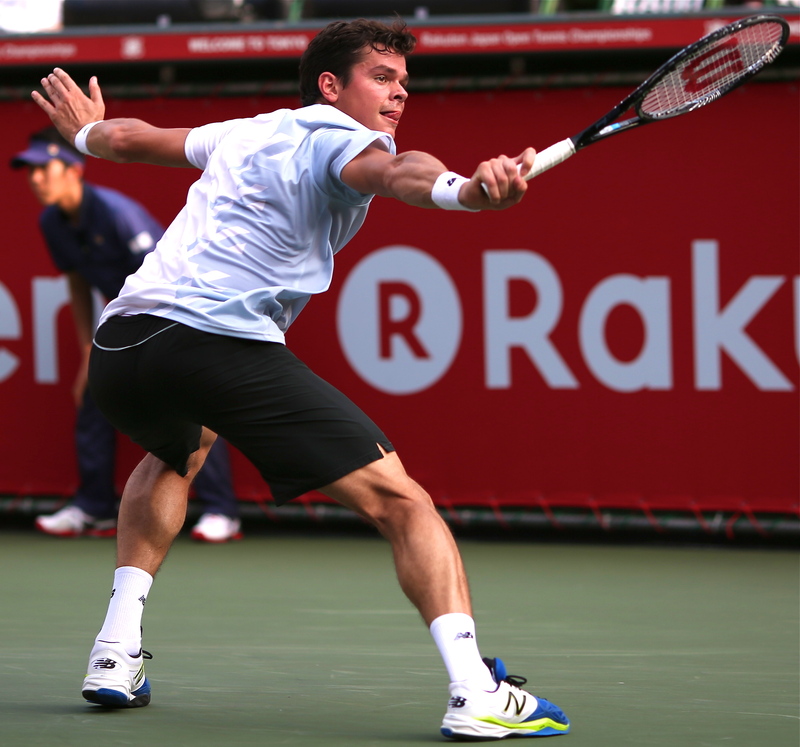 But Raonic rifled a forehand winner down the line, knocking the racket out of Nishikori’s hand. 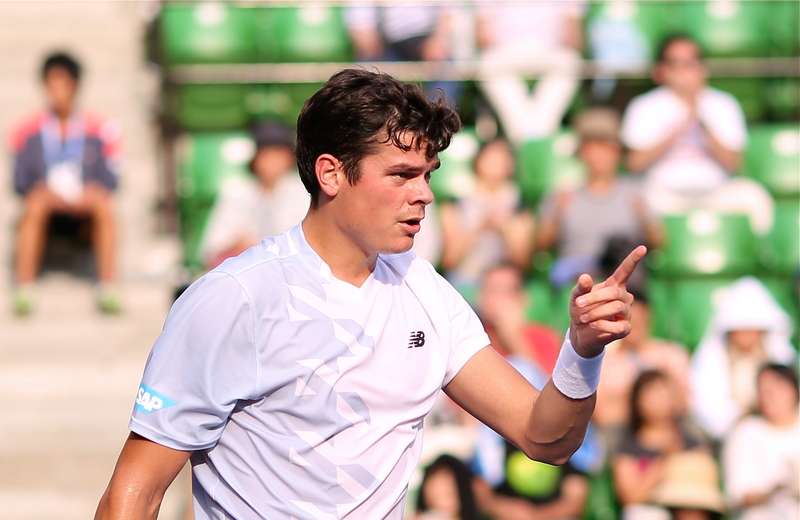 Raonic went on to win the game, then three straight points on Nishikori’s serve, and Raonic defended well, forcing Nishikori to self-destruct and miss a forehand wide. It was brilliant tennis, a mirror of the future. This rivalry — the big server Raonic vs the little speedster returner — has the makings of Sampras vs Agassi, Federer vs Nadal. But only a few claps of applause on an outside court. 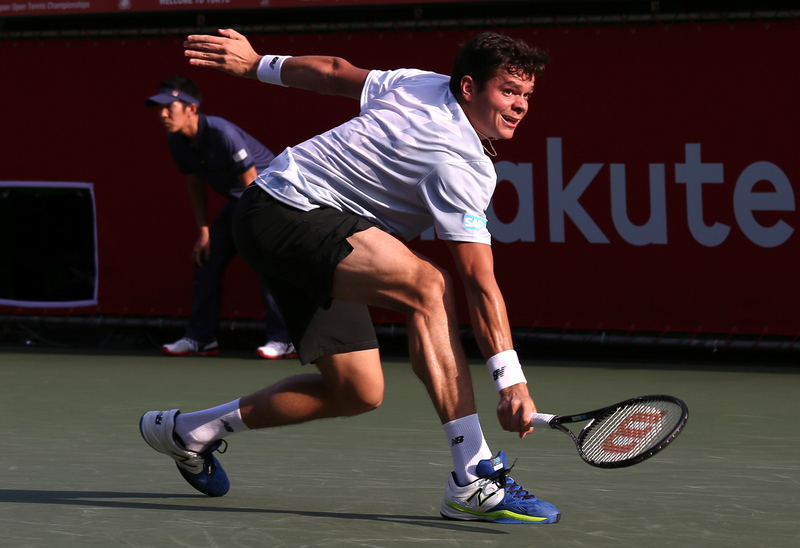 Raonic at 6’5″ kicked a second serve over the head of 5’10” Nishikori. 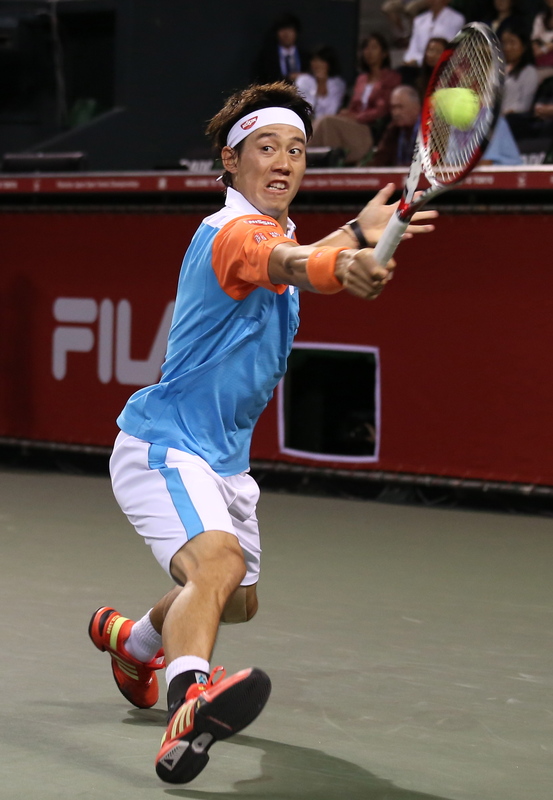 But Nishikori knocked back Raonic with a deep return at his gangly feet for a break point. Raonic, who had 35 aces and won 85 percent of points on his first serve, held with a body blow serve then a spinner out wide. At match point, he followed a serve with a put away volley to advance to the quarterfinals. The tennis world still doesn’t realize what’s coming. The Missile (Raonic) and Air Kei (Nishikori) are both already legends in their countries, ambassadors who have achieved more than any player in their nation’s history. They haven’t won Grand Slams yet. They haven’t broken into the Big Four still ruled by Federer, Nadal, Djokovic and Murray. But they will someday. 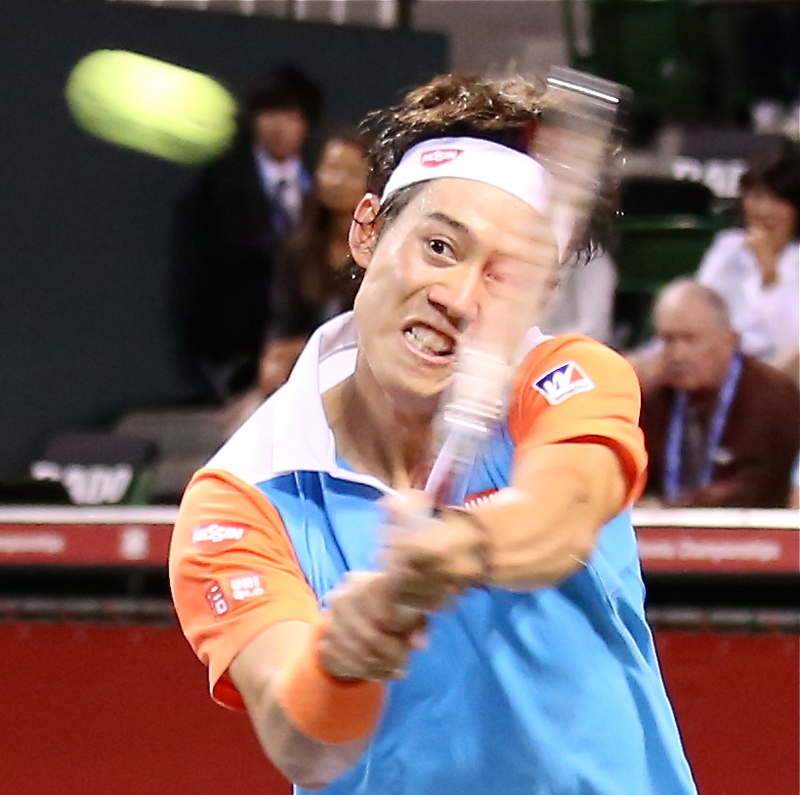 If they stay healthy, Raonic and Nishikori will rule the tennis world. It’s going to be good, and not just if you’re a fan from Japan or Canada. Both these guys have star quality that transcends nation and race. 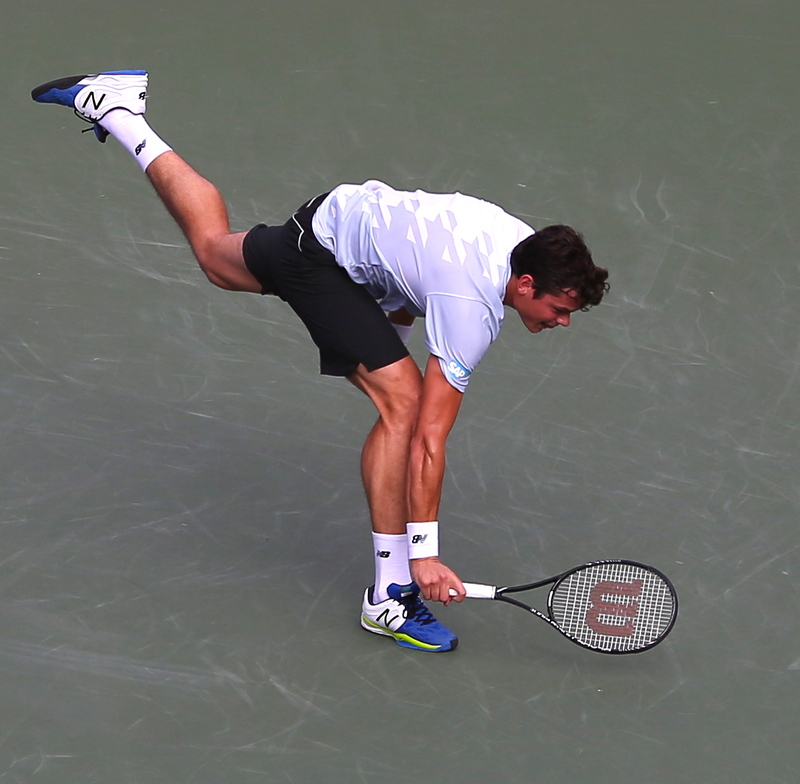 Raonic has the aspect of Federer. He’s a suave diplomat, an intelligent son of Montenegro and suburban Toronto who says the right things, stays clean off the court, and succeeds without arrogance or cockiness in public. Nishikori is truly the first pan-global superstar of Japan, a boy from remote Shimane prefecture in southwestern Japan who was sent to the IMG Academy in Florida at age 14, a Boy Next Door who can charm fans with his laid-back English and his polite Japanese.